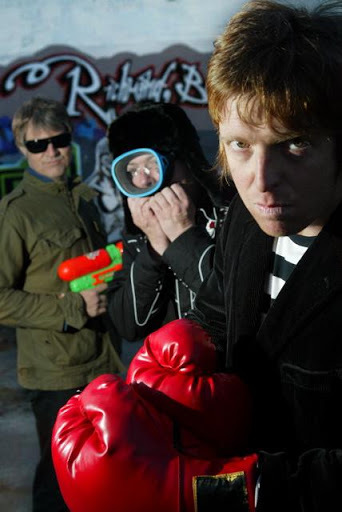 Song of the day: Even – "Show Me Some Discipline"
I’ve already expressed my feelings about the Sunnyboys (I don’t like ’em). Because of this, you probably won’t be surprised that I think Even’s version is a vast improvement. 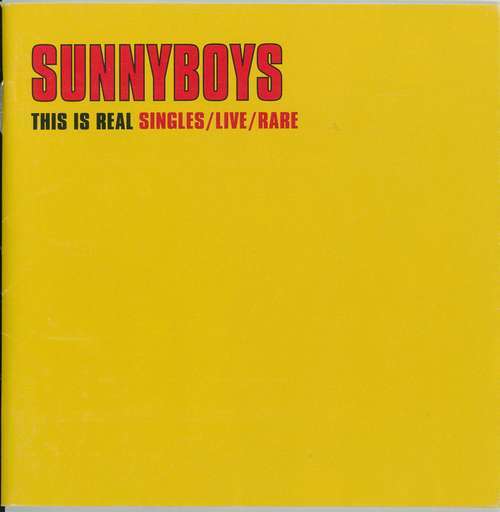 Song of the day: Sunnyboys – "Show Me Some Discipline"
At the request of a commenter (as in: “How can you call yourself an Australian power pop blog without mentioning them?”), I’m presenting you with some Sunnyboys today. However, it’s with a degree of reluctance*. I have to admit straight away that the Sunnyboys is a band that I just don’t get. I’m fully aware that they have a devoted fanbase in Australia. They’re talked about in reverent tones all across this wide brown land. They’re regularly cited by music critics as a seminal force in Australian power pop. Wikipedia even claims that “They produced melodic power pop classics“. Despite all of the above, I’ve tried and tried to like their music so I can join in all that Sunnyboys love, but I fear it’s a lost cause. I recently ploughed through the Sunnyboys discography – listening and relistening to as many songs of theirs as I could find – and have come to the conclusion that I’m missing something that Australian power pop fans have in their love for this band. I can only conclude that all those Sunnyboys fans know something I don’t, because what I heard over the course of three albums and one EP was music that was, to me, uniformly dreary. I listened for something special, but overall I found the songs to be melodically uninspiring, instrumentally unadventurous, and structurally unremarkable. The lyrics are concerned almost exclusively with sour relationships. The singer bemoans about girls that he: a) was unhappy with; b) is unhappy with; or c) is going to be unhappy with. The band’s called the Sunnyboys, but there’s absolutely nothing sunny about them. Maybe their name is “ironic”, like Joy Division, the Happy Mondays, or Fun Boy Three, where none of those bands were joyous, happy, or fun. “Enough words!” I hear you protest. “Where’s the music so I can make up my own mind?” you ask. They don’t sound terribly happy to me. To my ears, there’s not much of a melody there for me to latch on to. And one thing I find irritating is the background vocals – they’re doing nothing more than singing the chords. Incidentally, two of those songs are in the key of A minor, and the other two in B minor. But that’s not unique in the Sunnyboys discography. Of all the songs I listened to, most of them were in a minor key, with A minor being the most popular. After being exposed to 30 to 40 Sunnyboys songs, it felt to me like they were all in the key of A minor. Now, contrary to everything you’ve just read here, I certainly don’t want to rain on anyone’s parade. Maybe the Sunnyboys were a band that made a deep impression on young Australian minds in the 1980s. (“They were a part of my youth!”) Or maybe the Sunnyboys were great live, and people remember how fantastic a Sunnyboys gig was during that time. To that end, would you mind having a listen to those four songs and tell me what I’m missing? And if you’re a Sunnyboys fan, can you tell me why I’m wrong not to like them and point me in the direction of some Sunnyboys song I might like? You are currently browsing the archives for the Sunnyboys category.